At this INFINITI dealer, Oklahoma City drivers do not have to worry about the quality of their oil change experience. In addition to a fantastic inventory of new, pre-owned and Certified Pre-Owned INFINITI vehicles, our service experts can give you a quick oil change. You can rest assured that our certified technicians will change your oil right the first time. Our service department will take care of replacing the oil filter in your vehicle. If they go into this car dealership, Oklahoma City drivers will get an oil change service experience that they will love. Bob Moore INFINITI gives you the option of selecting a kind of engine oil when our service specialists are performing this maintenance service. We can assist you in choosing the perfect oil type for your particular vehicle. A synthetic blend or a full synthetic oil will provide your engine with longer-lasting protection. This is true whether you have a car, truck or SUV. If you are more interested in choosing a conventional oil because it is more affordable than the synthetic variety, we can help you with that too. Going into this INFINITI dealer, Oklahoma City drivers can take advantage of this choice in order to keep their INFINITI vehicle running for as long as possible. If you are looking for a car dealership that can service your vehicle 6 days per week, look no further than Bob Moore INFINITI. You can visit Bob Moore INFINITI and receive a fantastic oil change service any time between 8:30 a.m. and 9 p.m. from Monday through Friday. 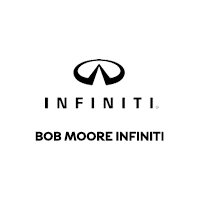 Bob Moore INFINITI is also open on Saturdays, and our service experts can change the oil in your vehicle from 8:30 a.m. through 8 p.m. As part of the Bob Moore Auto Group, we are committed to giving Oklahoma City, OK drivers the best possible customer service, regardless of when they decide to visit our dealership. Maybe you don’t need to get the oil in your vehicle changed at the time you decide to visit Bob Moore INFINITI. Our service specialists can also handle any auto repair you need to have performed on your vehicle. We can examine your vehicle and repair any oil leaks, check various moving parts on your vehicle for any signs of damage and more. If you got into an accident, our certified technicians can repair any damage your vehicle sustained. Our service experts will do whatever they can so you are satisfied with the auto repair you received at Bob Moore INFINITI. If your vehicle requires an oil change service, you can visit our website in order to schedule a service appointment. You can also sign up for exclusive oil change service offers and promotions. You can call our service number at 866-797-0554 if you would like to make a service appointment with us that way. We hope you come on by and see us soon. We look forward to giving you great customer service and meeting all of your service needs.